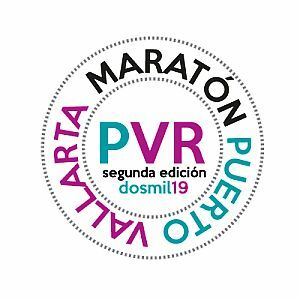 Race Kits must be picked up at the 2019 Puerto Vallarta Marathon Expo, set to be held at the API Maritime Terminal, Avenida Heroica Escuela Militar, on Saturday, April 6, 2019 from 8:00 am to 6:00 pm. Puerto Vallarta, Mexico - Love to run? Lace up your running shoes and get ready to participate in the Second Annual Puerto Vallarta Marathon, Half Marathon and 5K Recreational Race, set to hit the streets on Sunday, April 7, 2019. The city's major running competition of the year, the Puerto Vallarta Marathon challenges runners to push themselves to the limit while taking them along a route designed to showcase the Banderas Bay area's natural beauty. According to the race organizing committee, the 42.195 kilometers (26.219 miles) marathon will cover the destinations's main tourist routes. In addition there will be a 21,097 kilometers (13.1 miles) half marathon and a 5 kilometers recreational race with the intention that a greater number of people can participate in what is intended to be a great sports party. Each of the races begin and end at Puerto Mágico, Puerto Vallarta's Port Terminal, so groups of families and friends that are running different distances can all start together and meet up after the race. The Marathon and Half Marathon will start at 6:30 am on Sunday, April 7, while the 5-km recreational race will begin at 7:00 am. The time limit will be six hours for the Marathon and three hours for the Half Marathon. There will be cash prizes for the first three absolute places and the first three of each category. The Marathon's start and finish line will be in front of the Puerto Mágico facilities at the API maritime terminal, across from Wal-Mart in the Hotel Zone. From there, runners will head to the Agustín Flores sports stadium, turn around, and head back along the boulevard to the intersection of Fluvial Vallarta. The route meanders through Fluvial, returns to Avenida Francisco Medina Ascencio, crosses the bridge over the Ameca River, and continues through Nuevo Vallarta until you reach the El Tigre Club de Golf, where you turn around and head back towards the finish line. The Half Marathon and Recreational Race 5K will be run exclusively on Blvd. Francisco Medina Ascencio in the Puerto Vallarta Hotel Zone. Click HERE for maps of all race routes. Both the Marathon and Half Marathon will utilize state-of-the-art technology, with a chip issued to each competitor in order to correctly record their running time. The registration fee for either distance is $700 pesos per participant. The registration fee for the 5k recreational run is $350 pesos per participant. These fees help cover the cost of the race kits, which include a runner number, a commemorative shirt and medal, and hydration along the route(s). For registration and payment information (in Spanish) Click HERE. Race Kits must be picked up at the 2019 Puerto Vallarta Marathon Expo, located at the Port Terminal, Avenida Heroica Escuela Militar, on Saturday, April 6, 2019 from 8:00 am to 6:00 pm. Any runner who does not pick up their race kit before 6:00 pm on Saturday will be automatically disqualified and lose any rights derived from their registration. 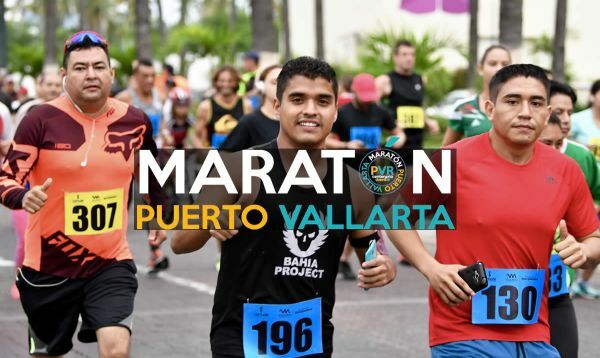 With more than $150,000 pesos to be awarded, and some of the best runners from all over Mexico and other countries participating, the Second Annual Puerto Vallarta Marathon, Half Marathon and 5K Recreational Race promises to be a world-class sporting event. For more information, visit MaratonPuertoVallarta.com, or MaratonPV on Facebook.